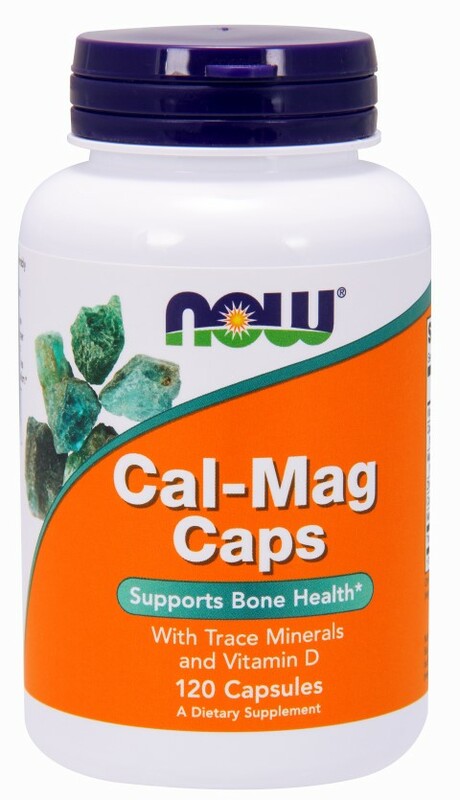 Product Description: NOW Cal-Mag Caps contains the minerals that are essential for bone health. In addition to Calcium and Magnesium, Cal-Mag Capsprovide chelated, highly absorbable forms of Zinc, Copper and Manganese, three trace minerals known to support healthy bone metabolism. Vitamin D has also been included to support Calcium metabolism. * With Trace Minerals and Vitamin D A Dietary Supplement. Suggested Usage: As a dietary supplement, take 2 capsules daily, in divided doses, with food. Ingredients: Gelatin (capsule), Magnesium Stearate (vegetable source) and Cellulose. Suggested Use: As a dietary supplement, take4 capsules daily, in divided doses, with food. Contains no: sugar, salt, yeast, wheat, gluten, soy, milk, egg, shellfish or preservatives. L-Opti-Zinc is a registered trademark product of InterHealth Co. Store in a cool, dry place. Please Recycle.